Bamako (AFP) - Jihadist group Ansar Dine on Tuesday claimed responsibility for two weekend attacks in Mali near the borders with Mauritania and Ivory Coast, and threatened to strike both countries. Three soldiers and nine militants were killed on Saturday as a military camp came under attack in the town of Nara, according to the government, while public and police buildings were ransacked in Fakola on Sunday. "We are claiming the attack at Nara and the one at Fakola -- Islamic lands -- to punish the enemies of Islam," Ismael Khalil, a radical preacher and member of Ansar Dine, said by telephone. He added that the militants would "multiply the attacks in Ivory Coast, Mali and Mauritania, countries that work with the enemies of Islam". Little is known about Khalil but a Malian security source said he attended Koranic school in the central region of Mopti before visiting Saudi Arabia and Nigeria and eventually joining up with Ansar Dine leader Iyad Ag Ghaly in northern Mali in 2012. Jihadist attacks are normally confined to Mali's restive northern desert but areas bordering Mauritania in the narrow centre of the country have been targeted since the beginning of the year. Southern settlements near Ivory Coast and Burkina Faso were spared until an attack on the town of Misseni on June 10, during which a Malian soldier was killed and two others wounded. 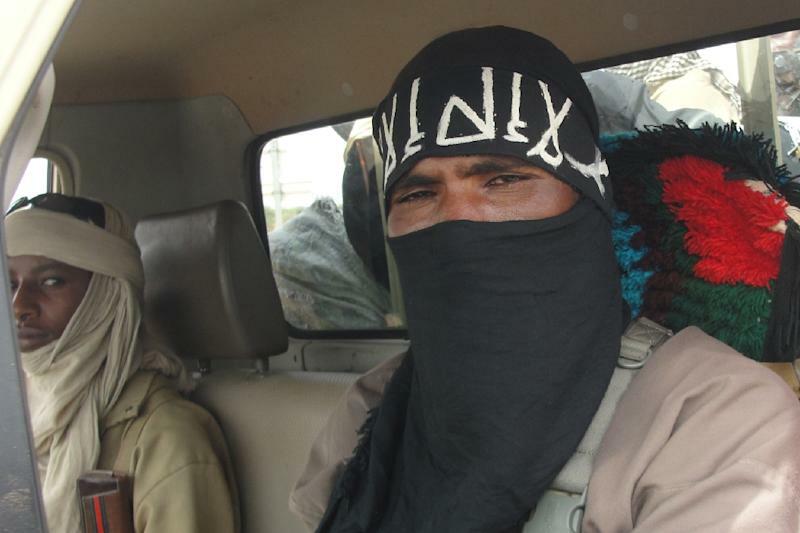 Two other radical groups linked to Ansar Dine took part in the weekend's attacks, a separate security source told AFP, adding that they were "composed of Malians and foreigners trying establish themselves in the centre and at the Ivorian border". Tahirou Bah, a former prominent anti-globalisation campaigner, also claimed the weekend attacks on behalf of the "Popular Movement for the Liberation of Mali". The former leader of pressure group "les Sans Voix" -- or "The Voiceless" -- presented his new group as an armed movement based on the Burkina Faso border. "We claim the attacks this weekend. We are an armed group that wants regime change in Mali. We are lay people," he told AFP. Mali's vast semi-arid north came under the control of Ansar Dine -- which is Arabic for Defenders of Faith -- and two other jihadist groups, Al-Qaeda in the Islamic Maghreb and the Movement for Oneness and Jihad in West Africa, in April 2012. A move south towards the capital by the extremist fighters, who imposed a brutal version of sharia on inhabitants, prompted France to intervene in January 2013, pounding their positions in the north and centre of the country. Their organisational structure smashed, small pockets of armed Islamists managed nevertheless to remain active, carrying out occasional deadly attacks in the desert. The United States placed Ansar Dine on its terror blacklist in 2013, accusing it of close links with Al-Qaeda and of torturing and killing opponents in the north. The militia was set up in late 2011 by Ag Ghaly, who is also on the US blacklist as a long-time fighter against the Malian government who led a 1990 rebellion by the Popular Movement for the Liberation of Azawad (MPLA). Ivory Coast said on Monday it had sent "reinforcements" to its border with Mali, without specifying numbers or which branch of the security forces they were from. A government spokesman said the country was "organising to avoid being affected" by the threat of jihadism. MINUSMA, the 11,500-strong United Nations peacekeeping mission in Mali, said in a statement it condemned "in the strongest terms the two terrorist attacks" in Nara and Fakola. "MINUSMA once again emphasises the urgency of combining all efforts to counter terrorism threats to Mali and to its people," said the force, which had its mandate extended for another year by the UN Security Council on Monday.